Lamb is naturally earthy and a little grassy, and its flavor won’t get buried despite this big pile of fresh herbs and salty marinated cheese. If you are sensitive to even a whiff of gaminess, seek out domestic, grain-finished lamb, which is sweeter and milder than the 100 percent pasture-raised imports from New Zealand and Australia. 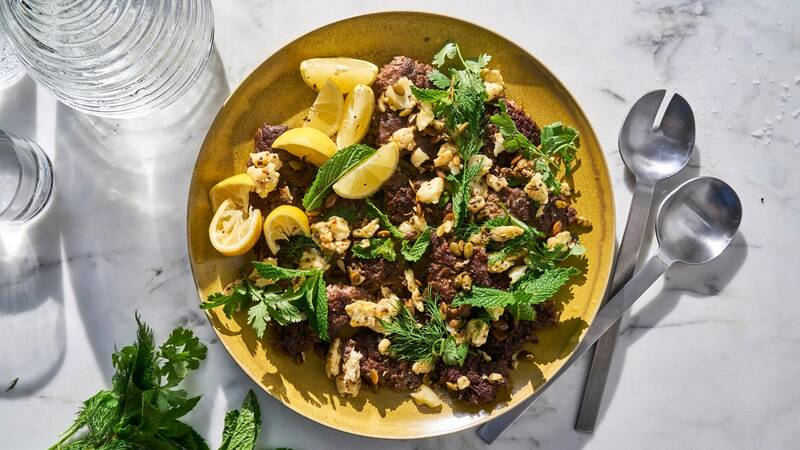 And because ground lamb contains a generous percentage of fat, you can smash it into a hot skillet and let it develop a nice crust without worrying about it drying out. This recipe is from Where Cooking Begins by Carla Lalli Music.